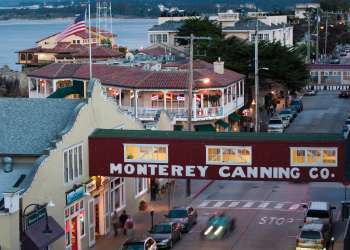 In January 1958, the City of Monterey officially re-named Ocean View Avenue "Cannery Row" in honor of John Steinbeck and his novel that described a colorful past set amid the cannery culture of the time. Now, Cannery Row&apos;s buildings are updated, shinier versions of turn-of-the-century canneries. They house an eclectic blend of specialty shops, local artists&apos; galleries, and more than 25 restaurants and world-class attractions that make Cannery Row a top tourist destination. Visit the Cannery Row website for more information. The main attraction on Cannery Row, and a favorite for visitors to the Central Coast, is the Monterey Bay Aquarium. Constantly surprising with new exhibits and programs, and with a steadfast dedication to marine education and conservation, the aquarium is consistently ranked among the top attractions in the world. Be sure to visit the "Secret Lives of Seahorses," "Tentacles," and the children&apos;s "Splash Zone" exhibits while you&apos;re there. For an additional family activity, visit the Monterey Mirror Maze, where families can work as a team to find their way from the beginning to the end of the maze. Cannery Row&apos;s dining draws crowds with its complete spectrum of taste offerings. Enjoy area seafood favorites, legendary fine dining, and lively nightlife at Cannery Row restaurants. You can have a full Monterey County wine tasting tour in three blocks of Cannery Row at the tasting rooms for Pierce Ranch Vineyards and A Taste of Monterey, which serves a broad range of Monterey County wines along with a breathtaking view of Monterey Bay. You won&apos;t want to go home empty handed after your visit from Cannery Row. Stop in at one of the lovely shops along the way for a special keepsake or souvenir. It&apos;s easy to shed your car and go "green and marine" on Cannery Row. Take in the wonders of the Monterey Bay National Marine Sanctuary by scuba diving with the starfish or kayaking with the sea otters. 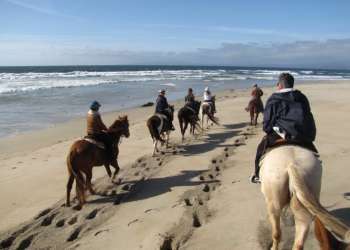 Choose to soak in the views by land via a bike or surrey rental from Adventures by the Sea and ride from beach to beach along the Monterey Bay Coastal Recreational Trail.